CIOReiview India features us among the 20 most promising Fintechs for 2018. 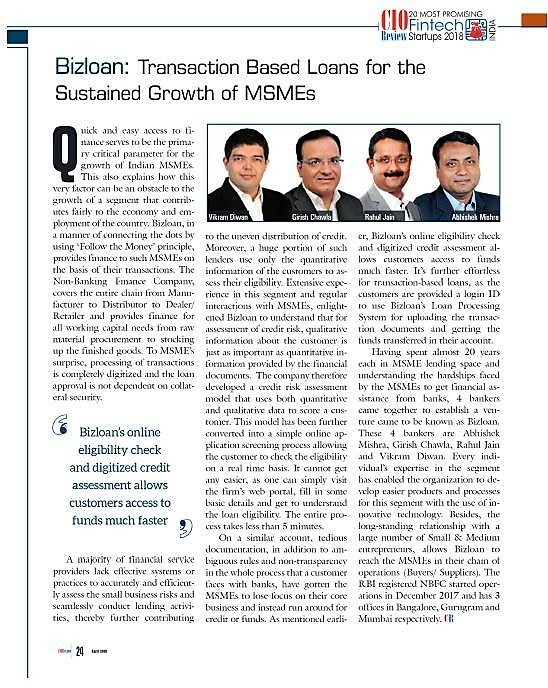 “Bizloan’s online eligibility check and digitized credit assessment allows customers access to funds much faster” Quick and easy access to finance serves to be the primary critical parameter for the growth of Indian MSMEs. This also explains how this very factor can be an obstacle to the growth of a segment that contrib-utes fairly to the economy and em-ployment of the country. 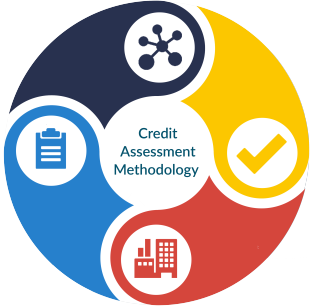 How BIZLOAN can help me in meeting my financial requirement? 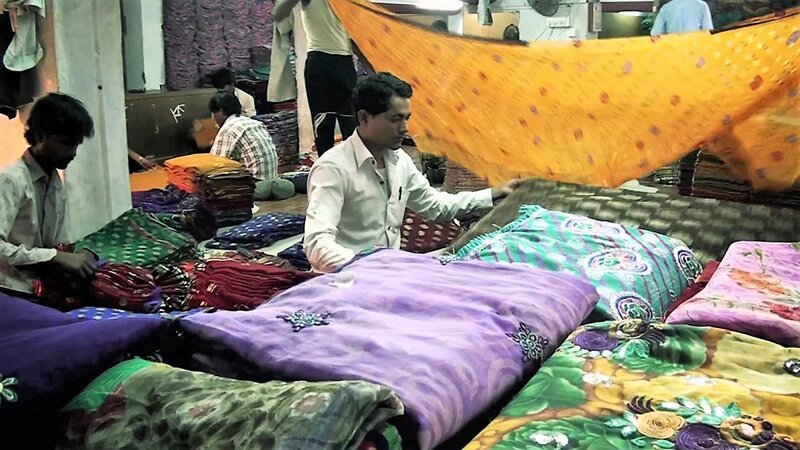 We help small businesses by providing them finance in a hassle free, simple and efficient manner. If you are a proud owner of a business & you need finances to invest in growth, cover expenses, meet daily cash flow requirements or pay your suppliers, then BIZLOAN is your one stop shop to fulfil all your financial needs. How do I qualify for a loan from BIZLOAN? How much loan I can avail & for how long? If you are a Sole Proprietorship Firm, a Partnership Firm, LLP or a Private Limited Company you can avail loan amount ranging from ₹ 1,00,000 to ₹ 25,00,000 for a period starting from 3 months to 84 months.